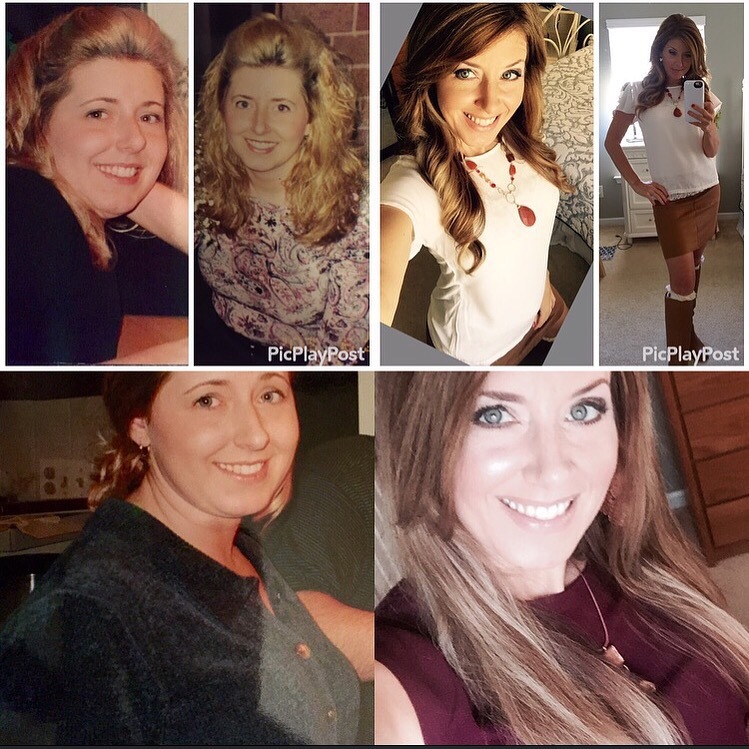 Pics on left: late 20’s; Pics on right: Yesterday at age 40. I asked myself tonight- what is a clean eating food blog going to be like as I add all sorts of codependency and addiction recovery tidbits about my life to it? Then I decided…. a darn good one. Confusing? Nah, not after you understand how mistreating our bodies with unhealthy addictions such as crappy food is abusive. We ALL have addictions. Most people visiting any of my “work,” musings and sometimes rants about health 😁 will see in themselves what we all are. Human beings who want to DO better, but are struggling with their inner selves. You can never be at a peaceful place when we you warring against yourself. So, let me jump in and share my thoughts tonight for most of my Facebook and Insta friends. I’ve decided I’ll add more about my story right here on my clean eating food blog. I mean, Why not? I was born and raised under a very abusive yet religious alcoholic home. For most of my life, I concealed those wounds and forged on with my life. I dropped out of high school, got married at barely 18, and was a mother to two beautiful girls by 18. My daughters were the LIFE I never had early on. They were the love I didn’t feel in my childhood. They were the “balm” to my pain. With encouragement from my very special ex- Inlaws, I soon went on to nursing school in my 20’s, graduating at the top of my class with honors. I’m proud of that because I barely had a high school education at all. I was a fixer, yet very very broken. I worked hard. I stayed anxious, tired, and depressed even though my girls were my world. I ate, I gained over 35 lbs of fat, and I often felt very empty. I have DEEP wounds. It took 2 divorces, 5 children later, at the age of 39, to realize I was still hurting, and I needed to say to someone “I need help.” Truth IS- we ALL need help. Mentorship, friendship, honesty, transparency, and love. We all need THAT. Opening deep wounds seems futile and pointless for many, because often it makes things worse before they get better. But understand this: You have to reveal before you heal. I had to reopen what I had concealed and allow my whole gut to FEEL those horrible feelings from my past instead of just letting my brain take me hostage for the duration of my life. FEELING what we “stuff” allows us to HEAL. (It’s the same with food addiction) I had to be honest. I began to talk about things that are awful to share, the abuse, the abandonment I felt as a child AND adult. I allowed myself to feel deeply about them, and I now am able to ask the Lord to help me to heal them. It took a LONG time for me to make progress. It took asking for help. It took commitment and emotionally thick times. I still have those. But now when I talk about my journey, many people listen and I’m not alone anymore in my head. I understand my crazy and all the triggers that create chaos for me, overeating or a desire to drown my pain in a vice. I was never truly obese, but I have a very small frame, and so for me, I was at the tipping point. I’ve never been an alcoholic, but I certainly could be with all of my emotionally addictive behaviors. My triggers are still there. I learned through addiction recovery books and programs that when you ignore things, they don’t just quietly go away. They simmer. Sometimes they boil. But when you talk about your feelings, your actions and reactions, you begin to learn YOU. You begin to love deeper, trust yourself more, and understand your worthiness to be loved and deserve the goodness in life. If you ever feel you haven’t had the opportunity like others have to change and to grow, realize it’s only you holding you back, and more importantly it’s because you won’t say “please help me,” and commit to your own process. You are blessed to have change makers all around you. Reach out and ask for help and BE WILLING to commit to your own process. ❤️ You are worth THAT.